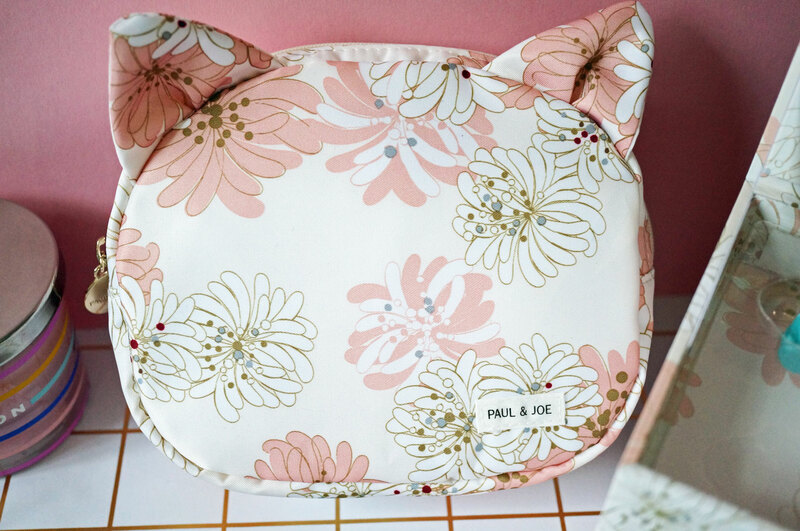 If you know Paul & Joe beauty, you’ll know they’re all about the cute and kitsch – and of course cats. Their new limited edition 15th anniversary collection has just arrived at TSNC HQ and it’s simply BEAUTIFUL. The large outer box opens to reveal a pretty pink and gold two tier vanity case, with a flip lid on the top and a drawer below. Paul & Joe haven’t skimped on the details here. The box itself is of high quality and even features a gold cat head as a drawer pull. This could easily be used as a trinket or jewellery box if you so wished. 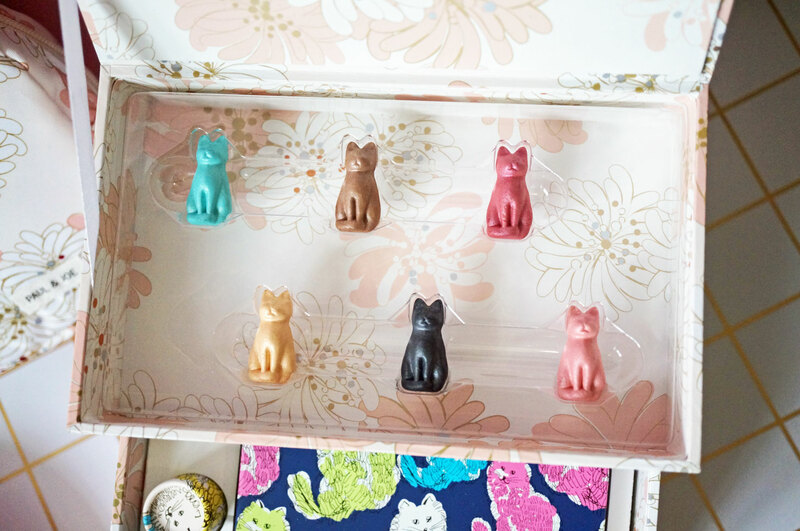 The top of the case lifts up to reveal a six individual 3D cat shaped eye colours. They all have a pearl finish and come in a range of pretty pastel shades. There’s a mint green, metallic copper brown, shimmery pink, a yellow gold, deep purple and a light pastel pink. They’re so cute and so perfect, I can’t bear to touch them! 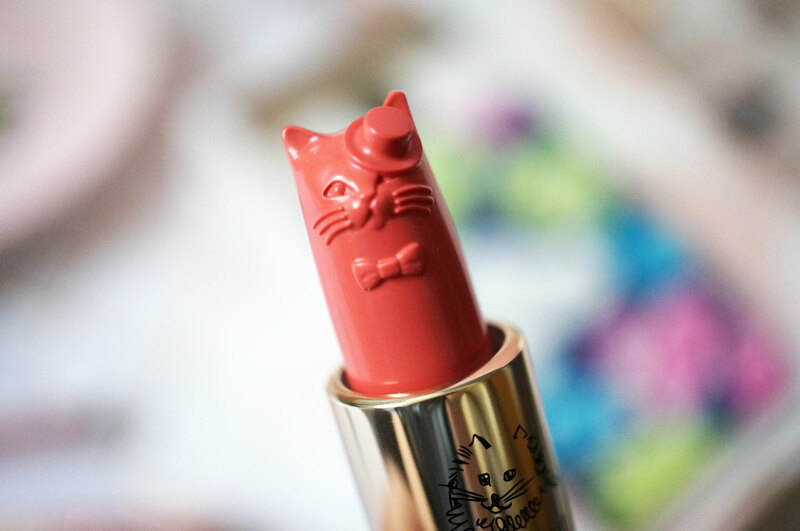 In the below drawer, you’ll find a Lipstick in Petit Princess – this is a soft peachy coral shade that was originally seen in the Spring 2012 collection, and of course the bullet has been moulded into a super cute cat head shape with a hat – I would expect nothing less. 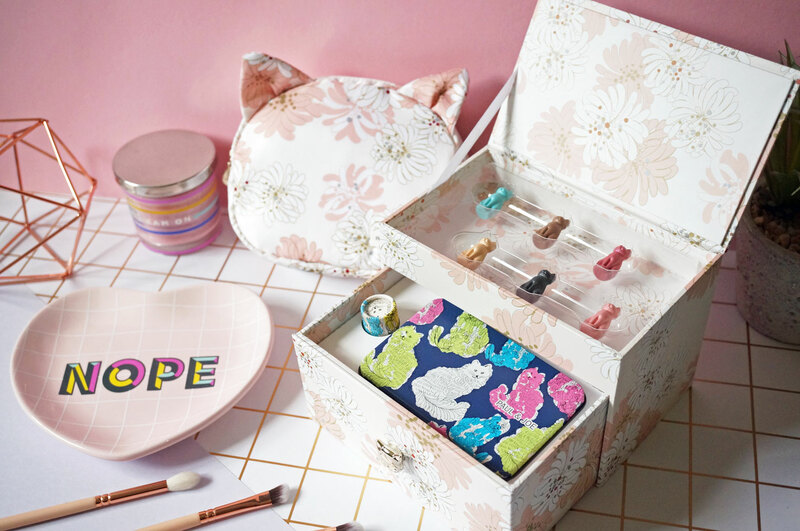 There’s also a mini Face & Eye Colour Case tin, which opens to reveal an eyeshadow brush and three spaces to house your top three kitty cat pearls from the eye colours, making them both portable an easy to use. 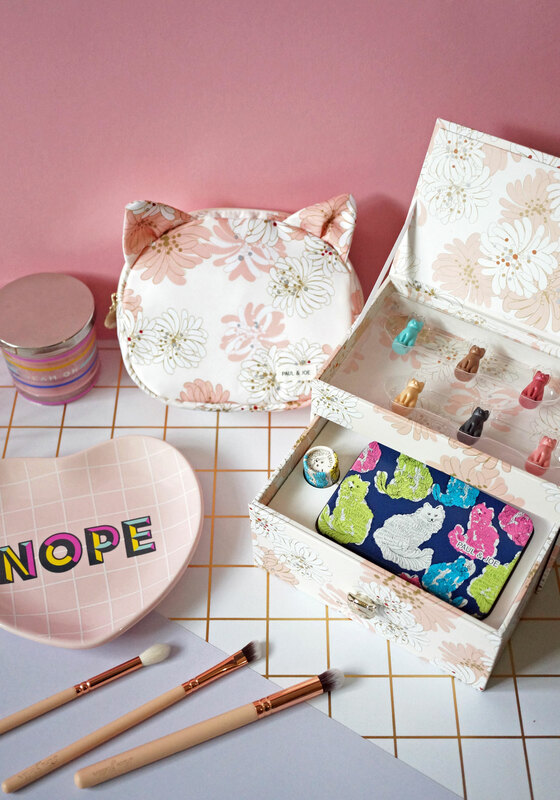 And as if all of this wasn’t enough, the outer box also contains a cat head shaped makeup bag pouch, with a floral cream and pink pattern to match the design on the vanity case. In my opinion this is a collection to be loved and cherished, and definitely not used (even though everything included is of course fully functional). This collection has been designed to the finest detail to make it as special, and precious as possible. 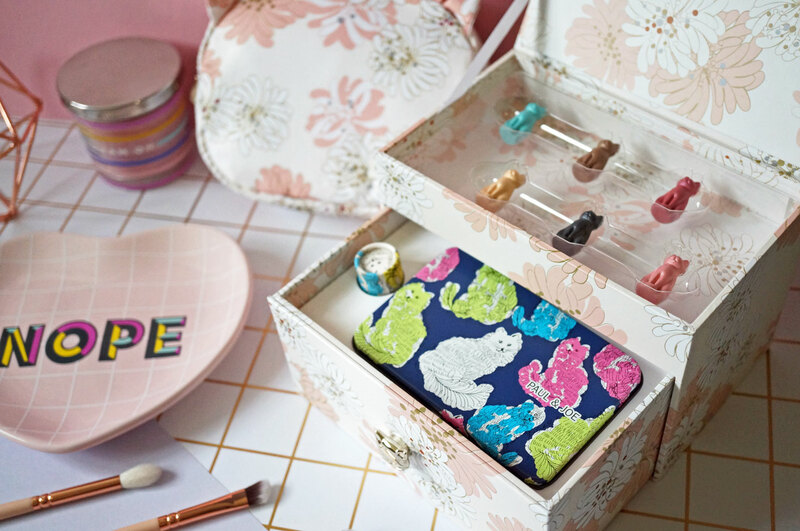 As a child that always collected ‘special things’, like little trinkets and shiny stones, and kept them safe in a little tin – so this collection just really appeals to me. This is a truly stunning set that makeup collectors will absolutely love. I just want to sit and look at the cats forever! 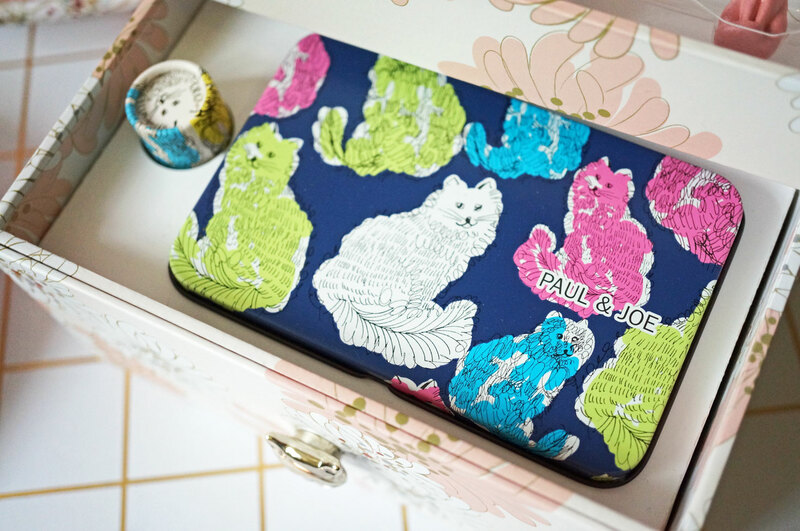 The Paul & Joe Anniversary makeup Collection is £55.00 and available at ASOS now.